It’s now taken as gospel that the future of a game isn’t written in stone when it first comes out. Ubisoft’s Rainbow Six Siege rebounded from a lackluster launch, hampered in large part by its grinding, fragmented progression system, into one of the most successful shooters on PC right now. No Man’s Sky released bereft of a lot of the features players felt led to believe would be in the game, like multiplayer, only for last year’s NEXT update to make feel like a new (and much better) game. Fortnite went from being a cooperative tower-defense shooter most people didn’t care about to a battle royale sensation. Master Chief Collection never made a similarly triumphant return, but it is a far better game than when it launched. In the four years since it debuted it’s become one of the better examples of how it’s never too late to get things right. Microsoft could have simply abandoned it in favor of people playing the old games through the Xbox One’s backwards compatibility program but didn’t. 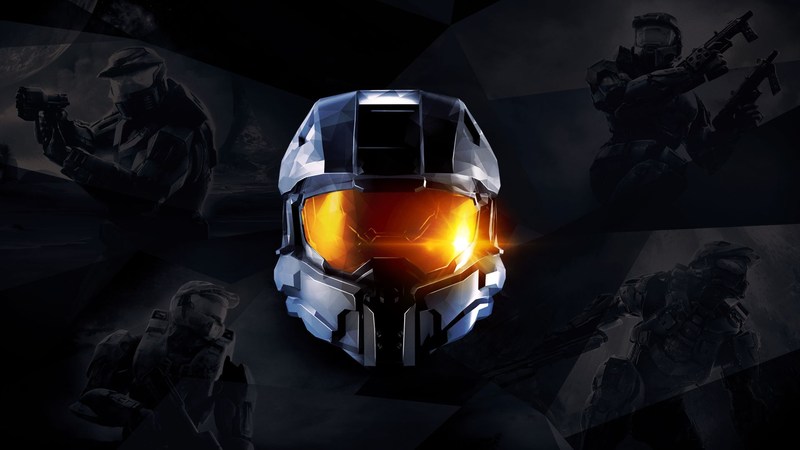 The collection is now arguably worth owning an Xbox One for, assuming you like Halo of course, and is now the basis for a series of big Halo 3 throwback tournaments taking place throughout 2019. It was a long time coming. Master Chief Collection launched back in November 2014. It had been two years since Halo 4, the first numbered game after 343 Industries inherited the series from Bungie, and one year since the launch of the Xbox One. The collection was Microsoft’s effort to take the legacy of the old games and neatly package it for a new console generation so that classic Halo multiplayer could live on throughout the 2010s. There was just one problem. The collection’s online component was broken. On launch day, Kotaku’s then deputy editor, Tina Amini, tried to play a match of Capture the Flag but was instead greeted by a nearly 30 minute wait during matchmaking. Other players reported similar wait times as well going entire matches with incomplete teams on both sides. 343 Industries acknowledged the initial problems, and promised things would get better, but the issues persisted, compounded by weird bugs and occasional crashes. Two weeks later things were still a mess. By the following month, 343 Industries was still trying to address these issues with subsequent issues. Matchmaking times improved on average but not for everyone, and once matches completed the game seemed intent on always breaking existing parties apart and sending everyone back to a new queue. By mid-December 343 Industries head Bonnie Ross was calling the experience “humbling” in a letter to fans. She thanked them for sticking with the game up to that point, and promised players one free month of Xbox Live Gold, an exclusive in-game nameplate and avatar, and future content, like new maps and eventually the Halo 3: ODST campaign, as free updates. But the game was far from turning a corner on the multiplayer front. In late January of 2015, 343 Industries announced players could sign-up to beta test the game’s next update aimed at solving its wonky multiplayer. In terms of sound, music, and visuals, Master Chief Collection was arguably the definitive repository for the old Halo single-player campaigns, but as a platform for reviving the series’ classic multiplayer, it was a bust. Even though that portion of the game moderately improved over the first 100 days, it was still in an unacceptable state. Parties would still disband at times for seemingly no reason and hits would occasionally not register in Halo 1 and 2 matches, in addition to general connectivity problems worse than most other online games. 343 Industries inability to right the ship in a reasonable time frame led plenty of people, including diehard Halo fans, to write the collection off as just the latest in a growing trend of games launching before they should. Still, 343 Industries kept working on the collection. Even though it wasn’t really a game-as-a-service like Destiny or The Division, with regular updates, Microsoft still treated it like one. Major updates came in March, April, and May of 2015, continuing to reduce matchmaking times, rooting out bugs that caused some players to deal extra damage and others to deal none at all, and increasing the accuracy of matchmaking based on skill so teams were less lopsided. Spurred on by the launch of the Xbox One X, 343 Industries announced in the fall of 2017 that it was going to really clean house on Master Chief Collection’s multiplayer architecture, helped in part by an extensive beta program starting in the beginning of 2018. In effect, rather than putting more bandaids on the game, the studio was going to rebuild its online portion through big updates to the game’s underlying engine. It was finally implemented in the game in the summer of 2018 in a whopping 73 GB update after months of quiet, unrushed play testing. It worked. No more dropped matches. No more obnoxious queue times. No more weird breakdowns or glitches when trying to go from a multiplayer match in one Halo to a matchmaking in a playlist in another. Microsoft added The Master Chief collection to its subscription download service Game Pass last September. We see studios collapse, games launch and fail, or get canceled altogether, a lot. It can still be surprising when, without much fanfare or hype, one of them gets resurrected from the dead and turned into what everyone always hoped it would be. 343 Industries is still tinkering around with and improving Halo: MCC, the latest fruits of which arrived in the game’s January update earlier this week. More aim options, additional skulls for the single-player campaigns, and a freshening up of some of the match playlists. At this point it’s hard to think of any other shooter series as pivotal as Halo that’s been preserved an revitalized in the same way. Hopefully it doesn’t stay that way for long.